Jason Heyward was born to opt out of his big long-term contract. The point at the intersection of his unusual career so far and the swelling-but-still-cautious baseball market, in the middle of the TV rush, is a huge contract and the promise of a second huge contract. And the result of that intersection, the combination of current events and Heyward's youth, is one of the only opt-out deals that can't console fans of his new team with thoughts of escaping the decline years they'd have subsidized five years ago. Those years aren't even under contract. By making an offer the Cardinals have announced their willingness to play some variation this game. If it's true they offered less money per year than the Cubs, they've stopped short of fully accepting the new rules for signing a 26-year-old free agent. But unless it comes out that they were offering no opt-out at all it's clear that they aren't philosophically opposed to the idea. But the new idea falls on young and old players, cornerstones and stopgaps. Whichever team signs Alex Gordon will pay for the middle of his career with the end of his career, like teams used to. But for two or three years, while the Cubs are paying Jason Heyward for his youth, Alex Gordon's team will get a great defensive outfielder and an unorthodox but effective hitter. Then Alex Gordon, still under contract, will get old. And then someone—the Cubs or someone else—will finally get the chance to pay for Jason Heyward's age-31 season with his age-38 season. An old player on an opt-out is a bullet your team might dodge; you forfeit the end of his peak and in exchange are relieved of the beginning of the end. A young player on an opt-out is unilateral disarmament—you give up the chance of piling up surplus value and accept the risk of paying a disappointing player. It would be great to lock up the good Jason Heyward for 10 years, but Jason Heyward and his agents know it would be great, and now it is impossible. He's just too young to be a free agent as we understand them; he's a draft pick with three years of team control where the floor is Jason Heyward slugging .390. Project Jason Heyward and Alex Gordon for three years. Figure out how much you'll be paying them in their dotage if they disappoint, or defensive metrics shift, or some of the air escapes from the TV bubble. Put a value on the slim but real possibility that Alex Gordon plays well deep into his thirties. 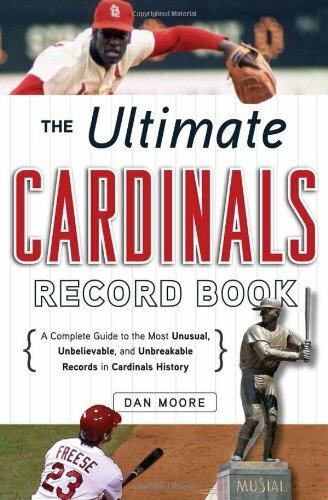 Now that we understand what was impossible all along it could be that this was always the best option the Cardinals had. Or forget about it, and play the game, and play it better. Call Justin Upton, and see if he's heard about opt-outs yet.